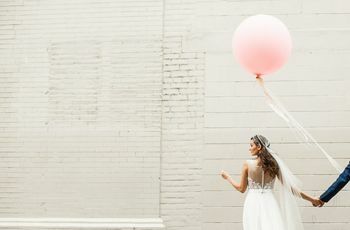 How to Plan Your Wedding Without Leaving Yorkville | Wedding Ideas ARE YOU A VENDOR? Looking to host a ritzy wedding in the heart of Toronto’s most fashionable district? Here’s how to plan your Yorkville wedding without leaving its streets. 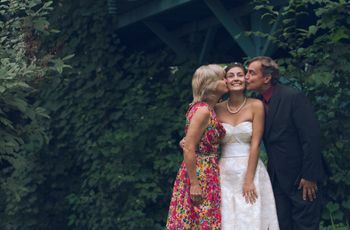 It should come as no surprise that Yorkville, one of Toronto’s swankiest, most fashion-forward neighbourhoods, is a treasure trove for weddings. 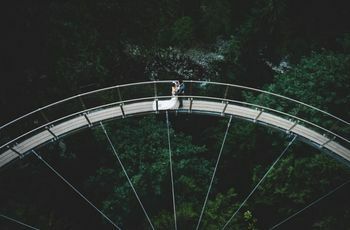 The area is filled with top notch suit and dress shops, perfect for putting together jaw-dropping looks for everyone involved in your big day. But it doesn’t end there! If you need a venue, cake or rehearsal dinner location, you’ve also got options. The only thing you’ll need to leave the neighbourhood for is flowers! 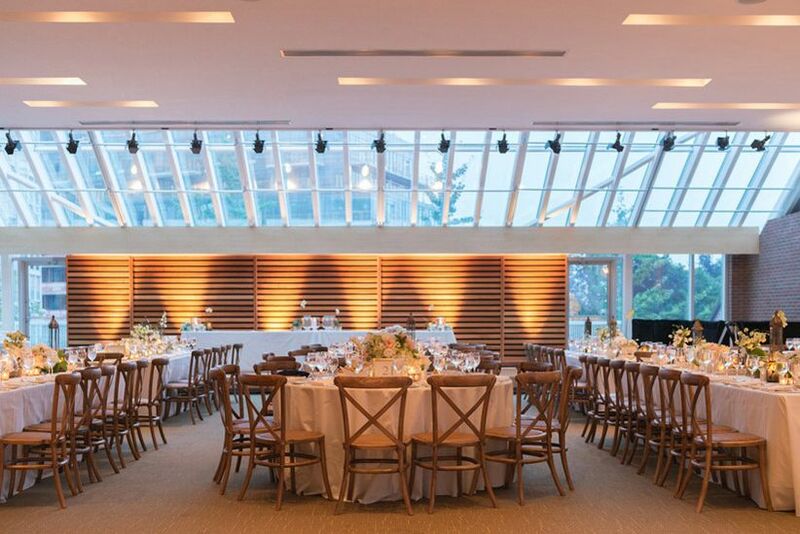 Here’s how to plan the ultimate Yorkville wedding. If you want to give your wedding a bit of a literary twist, why not host it at one of the city’s most beloved athenaeums? Thanks to its size, the Toronto Reference Library is the perfect venue for larger groups, and it has plenty of rooms to choose from. For those who want a stellar view of the stacks, go with the Level One or Level Two of the library (both can fit up to 500 guests). Looking for something a bit less bookish? Opt for the Bram & Bluma Appel Salon (pictured below). The modern space gets plenty of natural light and can fit up to 575 guests. 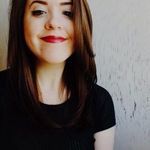 There are also a number of five-star hotels in the area including InterContinental (220 Bloor Street West), Windsor Arms (18 St. Thomas Street) and Four Seasons (60 Yorkville Avenue). If you’re looking for a restaurant venue with a city view, check out The One Eighty. Yorkville is the place to go for bridalwear. 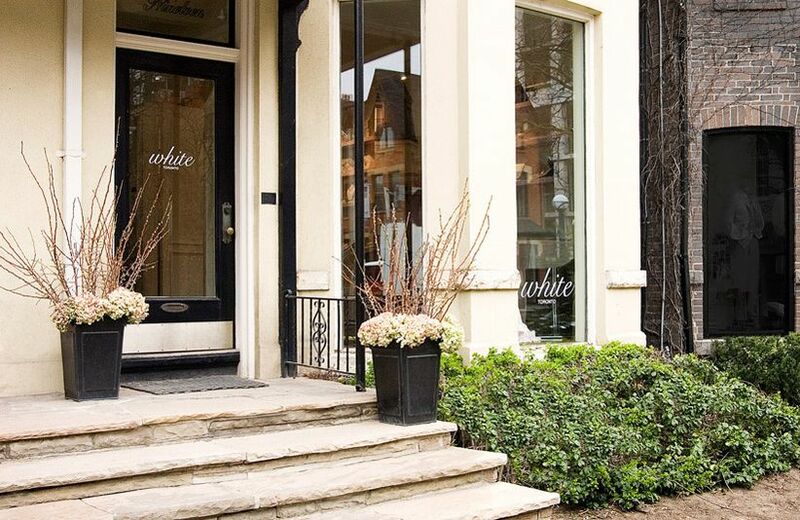 The neighbourhood is home to couture bridal designers like Ines Di Santo (176 Davenport Road), Vera Wang (41 Hazelton Avenue) and Whyte Couture (104 Scollard Street), as well as, one of the best bridal boutiques in the city, White Toronto. While you should definitely schedule a visit to a few shops, we suggest hitting White, Toronto first. Owner and stylist, Andrea Anastasiou, has curated an amazing selection of gowns from top designers like Galia Lahav, Inbal Dror, Monique Lhuillier, Jenny Packham and Berta in a wide range of prices. You’ll also find fashionable shoes and accessories here to complete your look. Bonus: they will even style your bridal party in their Bridesmaid Loft. 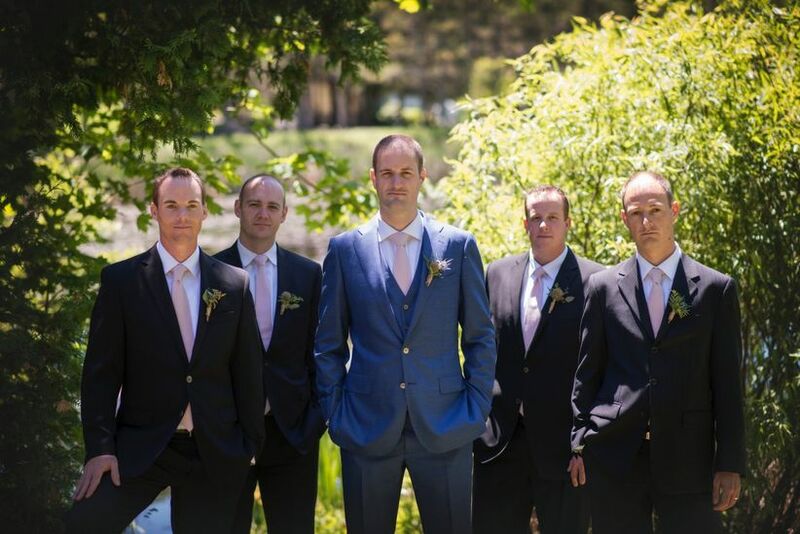 Looking to get the guys in your wedding suited and booted? Send ‘em over to Suitsupply. The Dutch menswear store offers an array of dapper jackets, pants and dress shirts that can be tailored in-store. If you come up short, don’t stress, there are plenty of other amazing spots for suits in the neighbourhood. Holt Renfrew’s menswear shop (100 Bloor Street West), John Ferrigamo (93 Cumberland Street) and Harry Rosen (82 Bloor Street West) are all stocked with wedding-worthy ensembles. Image: The groom wears a Suitsupply 3-piece blue suit; photo by Diana Whyte. This pint-sized Yorkville bakery is known in the neighbourhood for its decadent confections. If you’re on the hunt for a dessert that will wow your guests eyes and tastebuds, make a beeline for Dessert Lady. 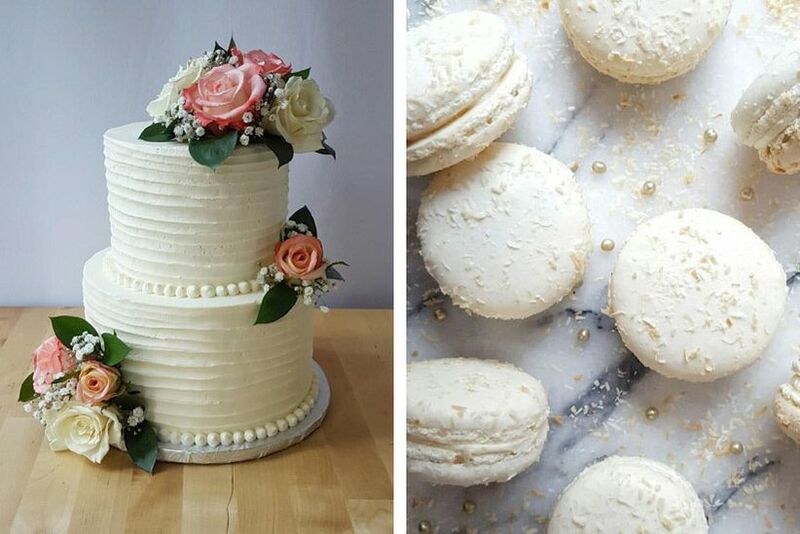 From ombre buttercream multi-layered masterpieces to tattoo-inspired cakes, this place does it all. The bakers here can also whip together mouthwatering treats like mini mousses and creme brulee spoons for your dessert table. Planta is one of the neighbourhood’s newest additions and is already a booming success. 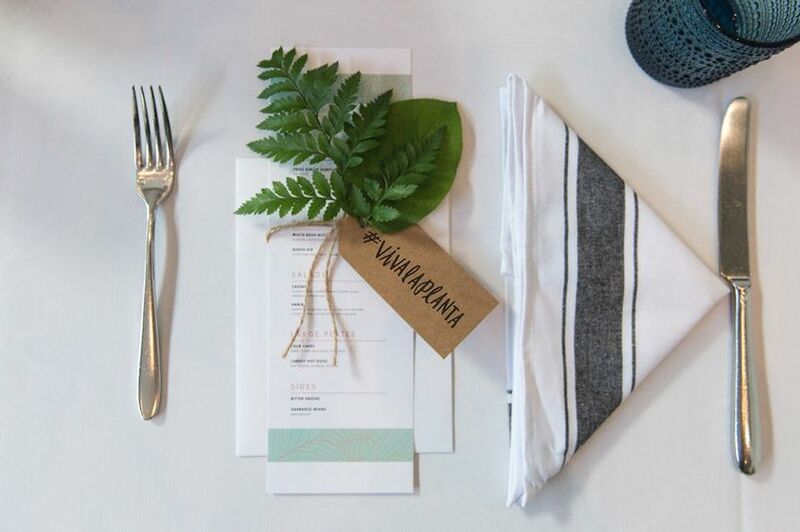 Serving up plant-based eats like coconut ceviche, cashew mozzarella pizza, palm heart crab cakes and truffle fries, this place will impress even the pickiest carnivore in your wedding party. 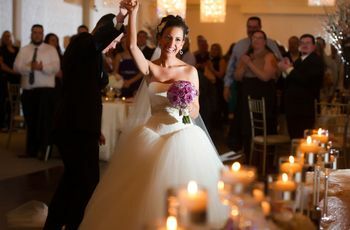 It’s got two private rooms to choose from for your wedding rehearsal: the back room on the main floor (seats 32) and the more private, second floor room (seats 10). Choosing a spot to register is a piece of cake in Yorkville. The fan favourite is William Ashley, a massive Bloor Street shop filled with everything from Kate Spade cocktail shakers to Le Creuset bakeware. If that doesn’t do it for you, Williams-Sonoma and Pottery Barn (both located in 100 Bloor Street West) are also great options. 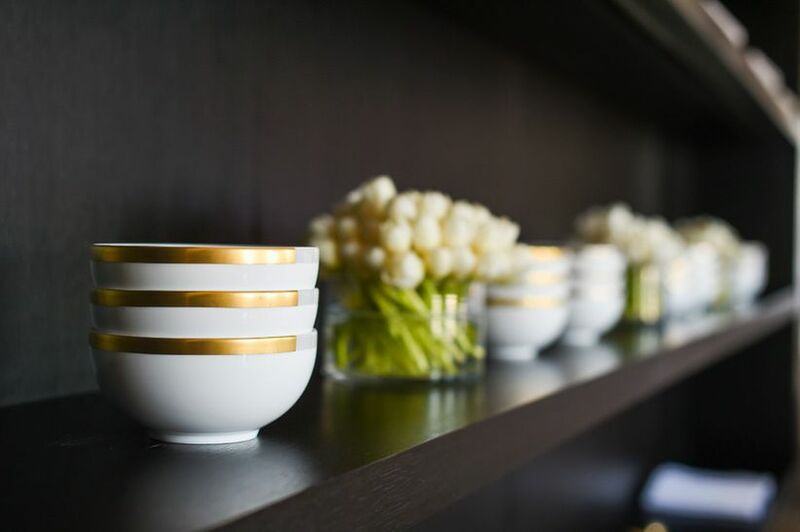 Image: Vera Castillon dinnerware collection by Vera Wang Wedgwood available at William Ashley.